As a professional real estate agent, you understand the need to stand out and be different, and a creative business card can help you do just that, giving you the edge over your competitors. Your cards are essential marketing tools in the realty business because they are convenient for clients, and potential new clients, to keep your contact details handy. 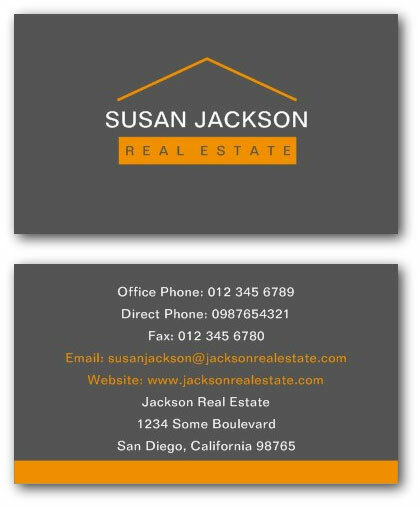 The next time they are in the market to buy and sell a house you need your card to stand out from the usual cluttered standard business cards that are so common these days. Be different and make a lasting impression! The following creative business cards can help you stand out. You can customize our templates online with our printing buddies at Zazzle - just follow the link at the bottom of the page. 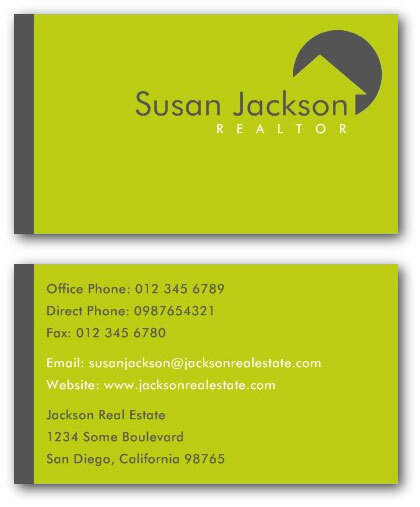 This stylish realtor business card has a simple logo of a house-shape reversed out a circle in a contemporary dark grey and fresh lime colour scheme; simple but effective! 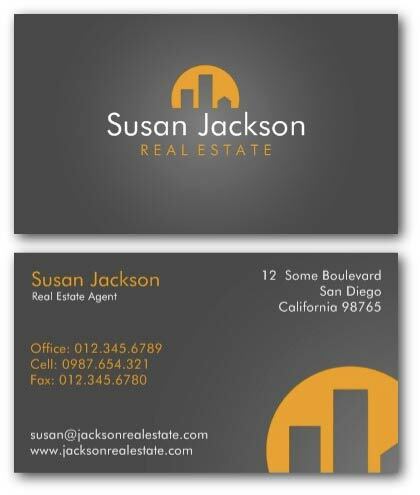 This business card with logo uses a modern design in grey and orange using a simple logo suggesting a roof of a home. This estate agent business card uses a stylish red and grey design with an opening-door graphic to represent the client's new property. 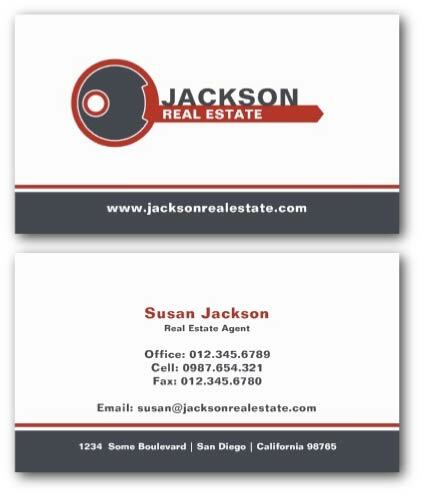 A real estate business card suitable for an agent working in a city. This card uses an orange logo representing the sun setting behind a city skyline on a grey background. 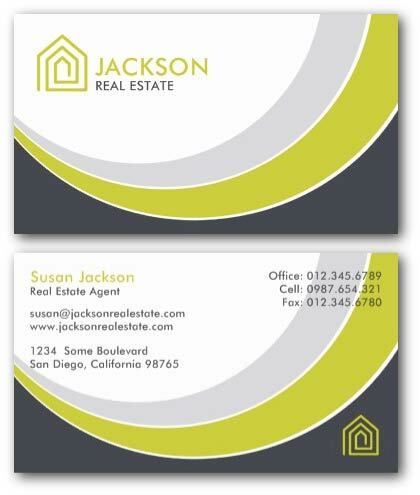 An eye-catching modern real estate business card in lime green and two shades of grey with a simple house-shaped spiral logo. 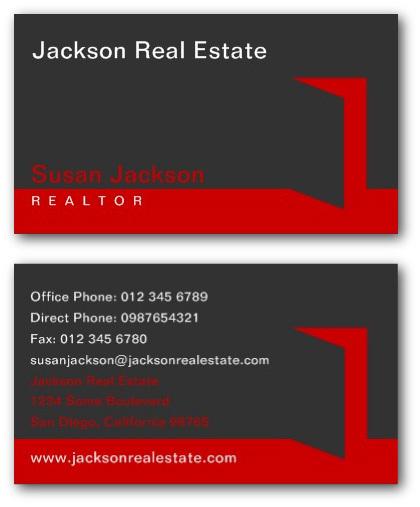 An estate agent business card with a key shaped logo incorporating your business name in dark grey and red. 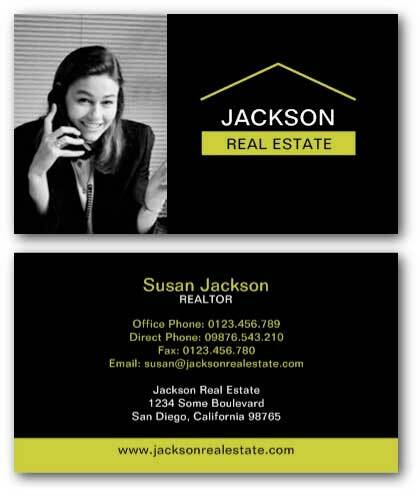 This stylish black real estate business card has space on the front to place a photograph of yourself to make the card more personal. Beside the photo is a simple roof-shaped logo for your business name and all of your contact details go on the back of the card. See more estate agent photo cards here. To edit one of these templates and order your business cards online, just visit Zazzle UK here or Zazzle US here.